Hi Sophie! Tell me a bit about yourself. I’m mum to two young children, Jay (6) and Esme (4). I live in Surrey but before that I lived in India for 8 years, where I worked as a teacher in an international school. I am a trained teacher in Theatre and have spent much of a working life around teaching and theatre. 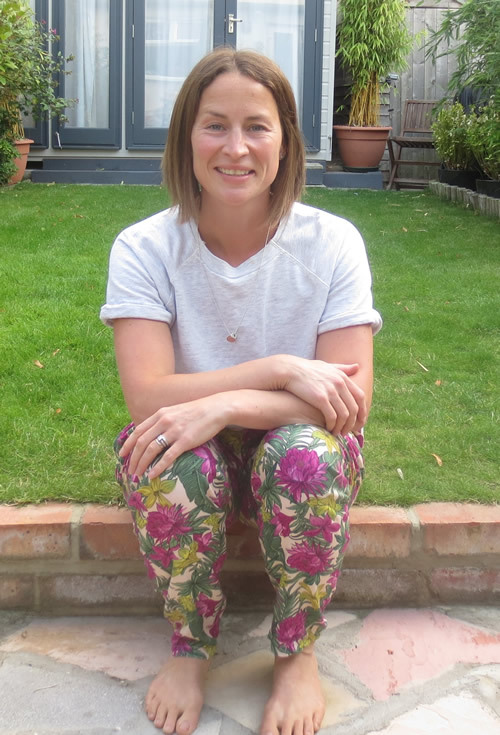 My jewellery business has grown out of a love for jewellery, gemstones and my desire to build and grow something that focused on who we are as women. Where did the idea for EsmeLoves come from? My daughter Esme had just been born and I was living in India at the time. 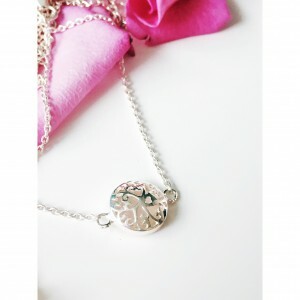 I wanted a piece of jewellery for myself, my mum and my daughter which would symbolise the moment. I didn’t want anything with initials, I wanted something that would be easy to wear and that would work with lots of looks. I couldn’t find anything I liked so I designed a piece myself. Friends then commented on the pieces, asking if I could get some made for them and it grew from there. People really liked the story and I loved the idea of having a collection of jewellery that appealed to women from eighteen to eighty. Being a mother, I adore the relationship I have with my children, the changing and incredibly valuable relationship with my own mother and watching how our relationships become deeper and more meaningful as we grow. It is important to take time out to thank people, connect with people who influence and shape us. What made you decide to take the leap with this business? Tell me more about the concept that the jewellery is for all generations of women. I wanted a collection that celebrates and connects who we are as women. I’m fascinated by the idea that we have these female relatives that we’re connected to yet, as some of them are before our time we only really know them from stories and photographs. I want a brand that appeals to Mothers, Grandmothers and Granddaughters, that celebrates who we are. I want my jewellery to be worn through the years. When I designed the pieces I always questioned whether it would be worn in 20/30 years time. So much changes in this world, fashion, technology etc, however a piece of jewellery with a story, wearing the same design as your daughter or grandmother allows us to make connections with those from differing years. Did a lot of your inspiration come from India? India has some of the worlds most beautiful jewellery. My husbands family are Indian, and so the culture and heritage of India is very much a part of my life. The celebrations and traditions practiced in India and all over the world are wonderful, and the symbolic act of giving jewellery is really celebrated there. They even have auspicious days for buying gold! The filigree design is inspired by the intricate details seen everywhere, in Sari material, in art work and in textiles. The combination of the gemstones mark the significance of the meaning of the stones. Indian jewellery is very intricate but often big and bold. My designs were created as the opposite of this, as subtle, small jewellery which was hard to find in India, which is why my work was so popular when I started. What do the stones that you use symbolise? I centred my pieces around three main gemstones; Rose Quartz, Blue Chalcedony and Rainbow Moonstone. 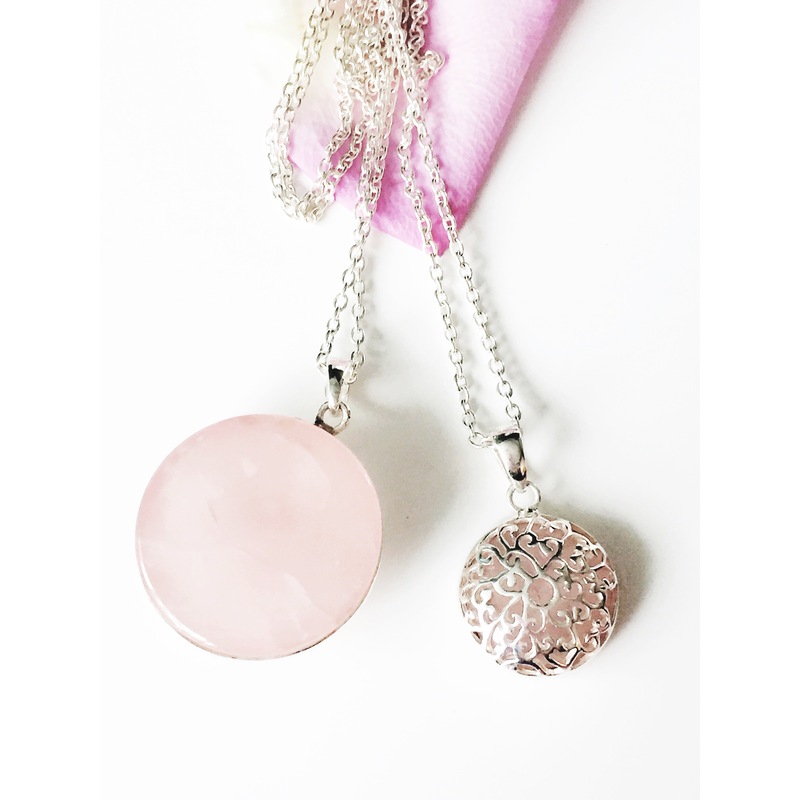 Rose Quartz is very much about love, it both attracts and means love. It’s a beautiful pink colour which is very feminine and works well throught through the years. Blue Chalcedony is nurturing and calming and Rainbow Moonstone is about connecting with your inner goddess. I also use Blue Tanzanite, which was traditionally used by Masa warriors to give to their wives, to celebrate the birth of a child. I wanted the significance of the stones to connect with who we are as women. Gemstones are timeless, they were around long before we were and will remain so once we’re gone, like the generations of women around us. Do you have a favoThe long rainbow moonstone rose gold necklace is one of my favourite pieces, as it was one of the first that I created. I had a vision for what I wanted and then when it was created I was so pleased with how it looked. I wear it often and always get comments. It’s one of the most popular pieces from the website. 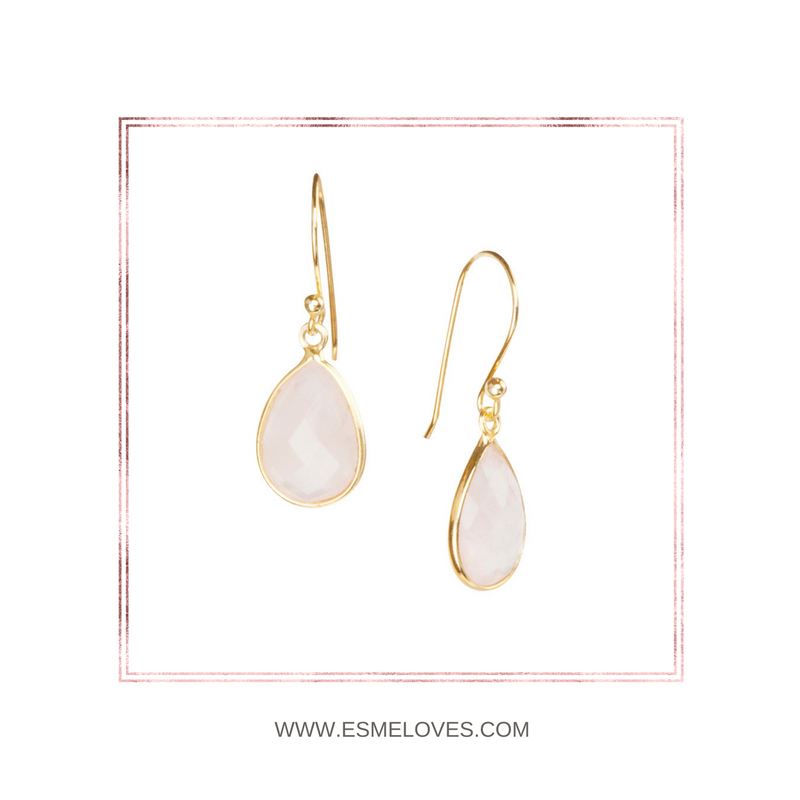 The moonstone samsara earrings are another favourite! I’m currently designing a children’s collection for next year. It will be sweet and subtle, celebrating friendship and family. I’m also keen to build connections with the dementia society. I designed a piece of jewellery after my Grandmother Jessie who suffers, and currently I donate 10% of sales from the Jessie Necklace to the dementia society, however I’m keen to build this throughout the rest of my collection. My Grandmother was such an influence on my life, it really saddens me that she won’t know she has great grandchildren. I want to support a cause that’s fighting to break through dementia. I have many friends whose older relatives are sufferers, and their stories are heart breaking. It’s such a terrible, tragic condition. And finally, what are you doing for Christmas! We’ve just moved into our new home and we’re hosting Christmas this year. My sister and her husband are visiting with their twins, and my parents and in-laws will be coming too, it will be a bit manic but fun! Thankfully we are off on holiday on Boxing Day so I can relax for a week after all the cooking and hosting! Sophie has kindly shared a discount code with me that readers can use to bag themselves 15% off all items!!! Go grab yourself something for Christmas! 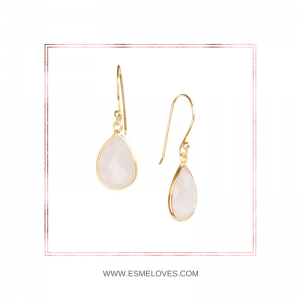 Use EsmeLovesIMO when you checkout, hurry though, this code runs out at midnight 7th December!